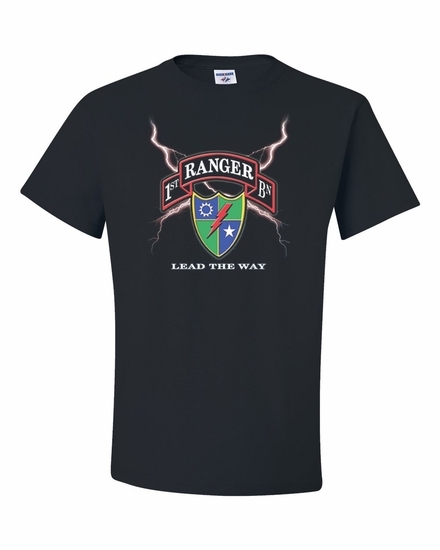 Show your Ranger pride with our dramatic 1st Ranger Bn-Lead the Way T-shirts and sweatshirts. We have 1st Ranger Bn-Lead the Way coffee mugs for your hot drinks. Remember� you found the 1st Ranger Bn-Lead the Way Shirts at TShirtHub.com, where high quality came at a low price.